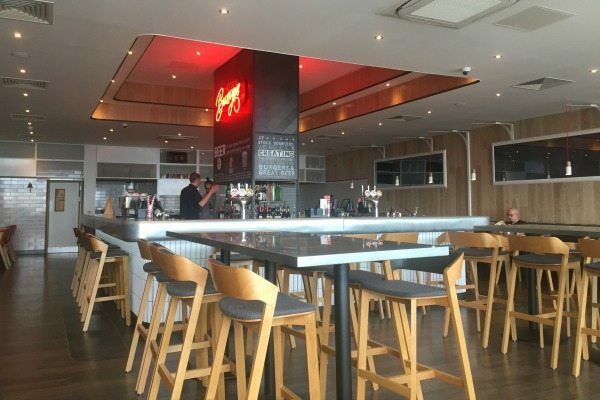 Stock Burger Brighton is a vibrant concept bar and restaurant set against the stunning backdrop of Brighton seafront. Forming an integral part of Kew Green Hotels’ £3.5 million development of Holiday Inn Brighton Seafront. 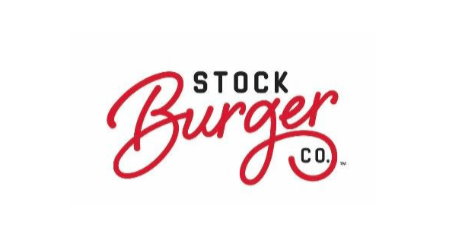 Stock Burger Co. Brighton will offer guests and locals alike, a unique standalone venue (with separate off-street entrance) where they can eat, drink and socialise in the stylish, lively and comfortable surroundings. Passionate about sharing the marriage of great gourmet burgers and specialist craft beer. Stock Burger Co. brings together some of the nation’s leading artisan food and drink producers in a striking, bar-centric concept conceived by leading design agency Superfutures (Peyton & Byrne, Ping Pong and Picture House). Superfutures were responsible for both the interiors and the overall branding. As the name suggests, the house specialty is burgers. These are no ordinary burgers however, but the crème de la crème specially made for the restaurant from 100% “Glenarm Shorthorn” beef, sourced from select farms in Northern Ireland by the multi award-winning Hannan Meats. 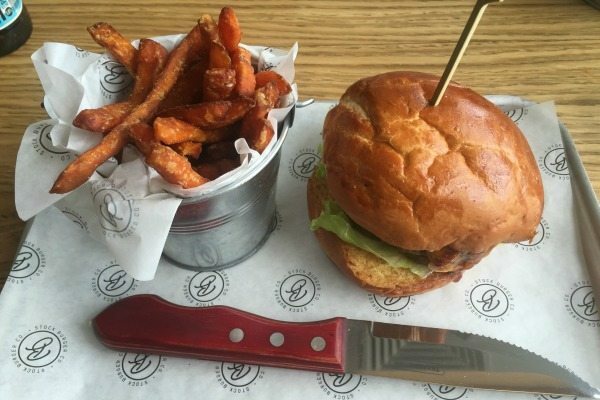 Peter Hannan, who works with some of the UK’s finest eateries, will also be supplying Stock Burger Co. with beef short ribs and rump steak, from the Himalayan Salt Chamber. Diners can select from a variety of specialty burgers, including Pulled Beef Brisket and what must be the ultimate all-day Breakfast, complete with fried egg, sweet cured streaky bacon, beef tomato, Portobello mushroom, HP sauce and baconnaise. For those feeling a tad more creative, Stock Burger Co. also offers its guests the chance to create their very own. Taking beef, chicken or vegetarian as their starting point, they can opt for a choice of sizes and a huge assortment of different cheeses, sauces and trimmings. All burgers are served on a brioche bun, or naked with an iceberg wrap. No problem. Also available is an array of other mouth-watering options, from ribs and a Big Dog through to freshly crafted salads and a beer battered fish sandwich. And what better way to round off a meal than with a home-made mini-dessert – including Knickerbocker Glory with soft ice cream made using local Plumpton cream – served in an individual mason jar? An integral part of the offering will be a huge collection of craft beers spearheaded by a draft selection supplied by Naked Beer Co., the Brighton Bier Brewery and Marston’s, whose Shipyard Pale Ale is brewed to the same spec and recipe as it is in Maine. The Naked Beer Co. has also created a bespoke American style IPA, golden in colour with tropical fruit aromas along with a clean, dry bitterness. The innovative, award-winning and locally based Blackdown Distillery will be adding a number of its finely crafted spirits to the mix, Sussex Dry Gin and Silver Birch Vodka among them. A list of classic cocktails – together with signature creations such as the Stock Burger Martini (made with Blackdown Gin and Vermouth) – can be enjoyed at the table or at the fabulous central island bar. 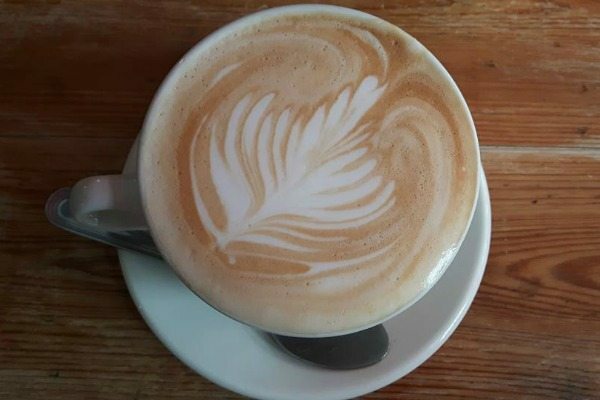 This impressive line-up of libations is completed by a selection from Brighton-based Small Batch Coffee, a premium artisan coffee roastery established in 2007 by Australian Brad Jacobsen and Brit Alan Tomlins. Stock Burger Co. also presents its guests with a number of different dining options. The central island bar and large communal tables have been placed at a high level to create a social hub, whilst private booths and perimeter banquettes are perfect for families, couples and more intimate groups. Customised pendant lighting has also been used to divide up these zones. The venue boasts a glazed retractable frontage that opens up onto the seafront and sits alongside a delightful 40 cover al fresco terrace that will allow guests to make the most of the glorious sea views. Stock Burger Co. Brighton will also afford spectacular vistas of the multi-million pound Brighton i360 which is the world’s tallest moving observation tower.